In Jimmy Buffett: A Good Life All the Way, acclaimed music critic Ryan White has crafted the first definitive account of Buffett's rise from singing songs for beer to his emergence as a tropical icon and CEO behind the Margaritaville industrial complex, a vast network of merchandise, chain restaurants, resorts, and lifestyle products all inspired by his sunny but disillusioned hit "Margaritaville". A former CIA officer and curator of the CIA Museum unveils the shocking untold story of Nobel Prize-winning author Ernest Hemingway's secret life as a spy for both the Americans and the Soviets before and during World War II. While he was the curator of the CIA Museum, Nicholas Reynolds, a longtime military intelligence expert, began to discover tantalizing clues that suggested Ernest Hemingway's involvement in the Second World War was much more complex and dangerous than has been previously understood. Writer, Sailor, Soldier, Spy brings to light for the first time this riveting secret side of Hemingway's life - when he worked closely with both the American OSS, a precursor to the CIA, and the Soviet NKVD, the USSR's forerunner to the KGB, to defeat Adolf Hitler and the Nazis. 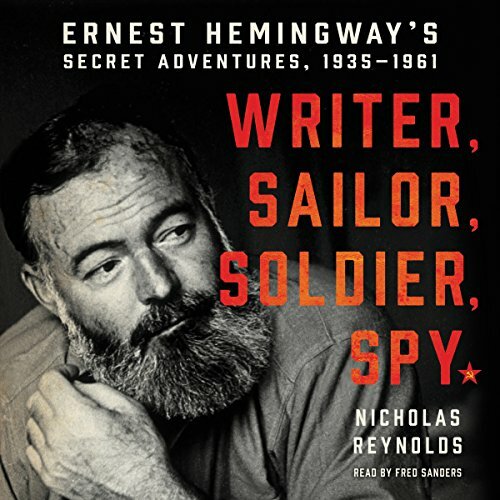 Reynolds digs deep into Hemingway's involvement in World War II, from his recruitment by both the Americans and the Soviets - who valued Hemingway for his journalistic skills and access to sources - through his key role in gaining tactical intelligence for the Allies during the liberation of Paris to his later doubts about communist ideology and his undercover work in Cuba. As he examines the links between his work as a spy and as an author, Reynolds reveals how Hemingway's wartime experiences shook his faith in literature and contributed to the writer's block that plagued him for much of the final two decades of his life. Reynolds also illuminates how those same experiences also informed one of Hemingway's greatest works - The Old Man and the Sea, the final novel published during his lifetime. A unique portrait as fast paced and exciting as the best espionage thrillers, Writer, Sailor, Soldier, Spy illuminates a hidden side of a revered artist and is a thrilling addition to the annals of World War II. 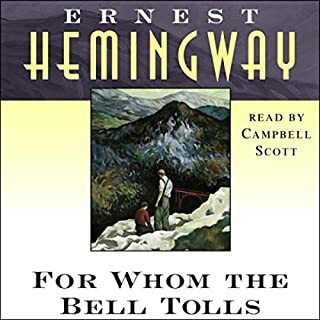 This was an amazing book for any Hemingway fan. Although non fiction it's written like any great spy novel. A must read. What did you love best about Writer, Sailor, Soldier, Spy? I enjoyed the details of the complex life of the man. I've never been a huge fan of his books, or of the outsized caricature of his personality. But this book provided a lot of insights to his way of thinking, both good and bad. The narration did not distract, and I don't think I ever noticed glitch or a glaring mispronunciation, or if I did, I didn't care. So, that counts as a win. Amongst all the gloriously heroic accounts (it is a rather fawning book, it has to be said), I think I found the most disturbing part (the part that reinforced my notion of Hemingway as a narcissist and egomaniac beyond all his supposed heroism) were his actions with French partisans prior to the liberation of Paris, under the guise of a newspaper correspondent. It's just the kind of thing this kind of man would do, never realizing the consequences beyond himself. And the obfuscation, half-truths and lies of omission in his official accounts of the situation put him in a long list of Presidents, Attorneys General, and other high profile citizens who just don't recall what happened, when it's not convenient. All that being said, I enjoyed the book. And I will re-read a number of Hemingway's books. Perhaps I will go in with a new perspective, and separate the artist from the man. An extraordinary life by an extraordinary person. This book follows the role that Hemingway played during the Spanish civil war, in the the subsequent battle between the Allies and the Axis and in the the follow up Cold War. 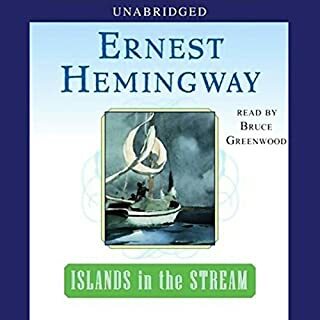 The author does show the good and the bad traits that Hemingway possessed without any sugarcoating and he does give his sources as many times as possible, making the story more believable and credible. I would recommend this book to any big Hemingway fan that would like to get a glimpse on the life experiences that resulted in the masterpieces that Hemingway has written. A very behind the scenes look at the authors personal life. Interesting, conflicting, but not surprising. Thie story ends abruptly as did the authors life. 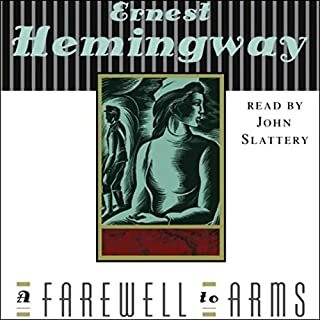 A clear exposition on the life and times of Hemingway, not even the writer himself could have put such an amazing compilations of episodes from his life and with such clarity. 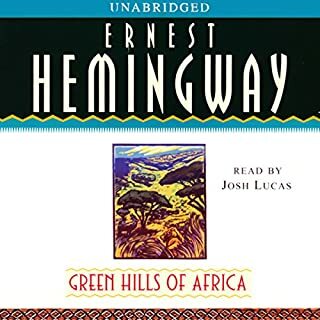 Even for a perpetual student of Hemmingway this was a good read listen. Well done. Author, Nicholas Reynolds, is a former CIA Museum historian. 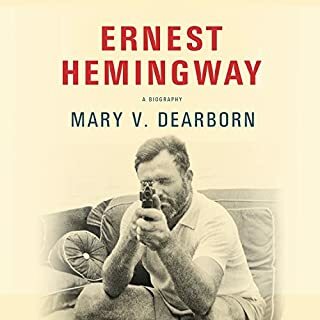 His biography of Hemingway's life from 1935 to 1961 is based on documents and extensive research that point to Hemingway's involvement with both American and Soviet espionage. This information adds another layer to the complex life and death of Ernest Hemingway. Whom would have known he was all depicted by the title. I have a great love for his work. Listened to this while cycling. I enjoyed it, but there are more than few speculative facts. But I would still recommend it. This is an amazingly insightful book, I've read many Hemingway autobiographies. some broad stroke and some more focussed on a single part of his life and how it affected the whole. This slots in perfectly with those and is a fine addition to any scholar of Hemingway. The book is also a compelling story, some sticking power is required when the narrative halts briefly to fit in the great number of names, dates and facts contained in this impressive work. 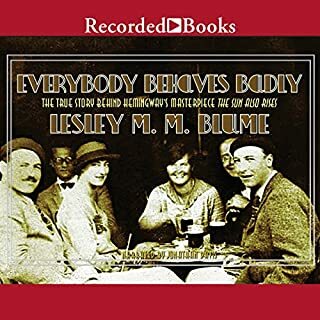 To conclude, the book is great whether you're a stone cold devourer of anything Hemingway, a Hemingway scholar, or just like real life stories of spying, danger and intrigue.